Andalucia is the land of a sun, the sea and the mountains. This part of Spain is known for its unique combination of natural beauty and historic heritage, diverse gastronomy and vibrant folklore. Our Helicopter Tours from Marbella are meant to introduce you to the everlasting heritage of Roman Empire visiting amphitheater in Malaga, the splendor and magnificence of Moorish epoque at the Alhambra in Granada, the evolution of different religions at the Great Mosque in Cordoba and the elegance and modernism at the Spanish square in Seville. Feel the real luxury and be privileged to experience outstanding views on our helicopter tours with Marbella in Style. 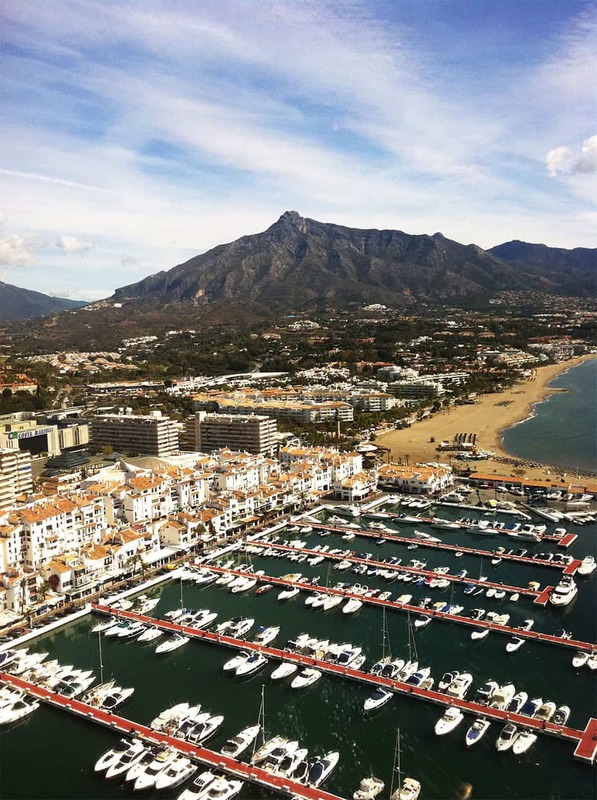 Marbella and Puerto Banús are recognised as a major points of interest on Costa del Sol. Enjoy the real luxury on our Private Marbella Helicopter Tour avoiding traffic jams. This tour will bring you an ultimate sense of luxury and traditional spirit of Marbella. 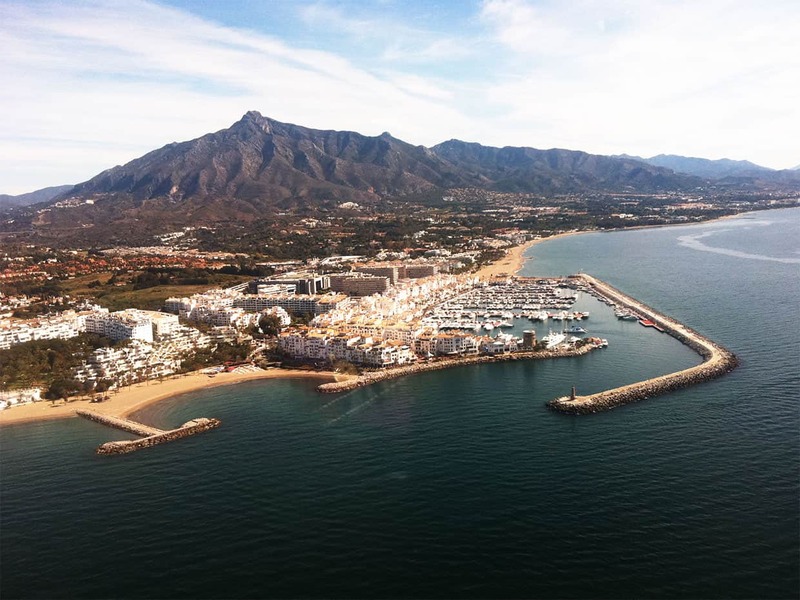 This Helicopter Malaga Tour from Marbella is one of the best ways to discover and experience the capital of the Costa del Sol. Malaga’s history spans about 2,800 years, making it one of the oldest cities of Europe and in the world. Take this fabulous ride and see Malaga´s beauty from the sky. Private Helicopter tour from Marbella to Seville, as fast as the light. We will take you to a magical city full of history and art just in one hour. This day tour is the perfect way to get to know the cradle of Spanish Golden Age and the most powerful and wealthy city of Europe in the 16th century, the time of Great Discoveries and the commerce between Europe and the New World. It is better to see at least once then to hear a million times how beautiful Granada is. With our Helicopter tour you will be taken to Granada in style and in no time, less than an hour ride. There are many picturesque cities in Spain, but only one could be referred as a real jewel and it is Granada. Our Helicopter tour to Granada will give you an opportunity to see the Alhambra and Generalife Gardens, to witness the richness of this fabulous UNESCO World Heritage Site and experience the essence of this 9th century fortress-palace with a panoramic view over the city. Our Helicopter tour from Marbella to Cordoba will bring you to one UNESCO World Heritage Site and a home for some of the world’s architectural wonders. You will admire the stunning Great Mosque of Cordoba, a religious building with more than 1400 years history that used to be the religious and cultural center of the region. But Cordoba was not only the intellectual center of Europe in 10th century but also a brilliant example of how Muslims, Christians and Jews lived in peace and shared the same place.